We've made exciting updates that we think you'll love! - Made some system updates for maximum uptime. - Completed some optimizations to keep things running smooth! We hope you enjoy these improvements! Please contact us at support@callcontrol.com with your feedback! Thank you for the feedback! We are glad that Call Control works well for blocking calls. It needs to be open in the background to block unwanted calls successfully. If you close the app it won't be able to catch unwanted spammers. Regarding the free status of Call Control. After 60 days of free Trial of Call Control expires the app will revert to the free (lite) version. If you have any other questions please do not hesitate to contact us at support@callcontrol.com! I think I like this app. It seems to have blocked the numbers that mimic mine which are so annoying (thanks, Federal Government! ), but for some reason I'm getting the same type of calls based off my old number as well. Unfortunately the app only allows you to block based on a single phone number, so it's not really effective in that sense. Hi! Thank you for the feedback! You can switch Call Control to 'Identify Mode' in the Call Blocking Settings and this way you will see what calls are blocked by the app. They will be identified and shown in the Recent Calls log, but won't be muted or disconnected by Call Control. Paid version gets you updates of the Community Block list, 10 lookup credits each month and no ads version. Let us know if you have any more questions at support@callcontrol.com. Thank you! I use this but about 75% of telemarking still gets through till I manually block them on the phone app. Not sure how soon after call you have to push button on top of unit after receiving the call. Another problem you have to be within 5 feet of home unit for phone app to update recent calls and it takes about 5 minutes. The app comes with 5 identifying previous number options and then you have to buy more at .30 each. Pretty expensive since you have to use that option to identify previous callers as who remembers calls from past few days. That option should be included or make the app update every few hours from anywhere. Hello! I'm happy to reply to your questions! You can push the button on your Home unit during the call you want to block or after this call was made. 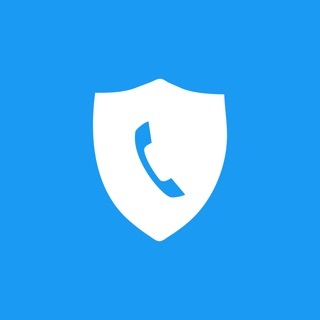 Call Control Home will block such a call even if you push the button in few hours after it has reached your phone. Purchasing lookup credits is optional, you will get the ID of calls from your carrier, so there is no requirement to use our lookup credits to identify numbers every time. Please do not hesitate to contact us support@callcontrol.com, we'll comment all your questions in more detail.